In my capacity as a journalist, I’ve had plenty of opportunities over the years to interview famous people. On various occasions, I have quizzed Washington Post editor Ben Bradlee, architect-futurist Buckminster Fuller, Doonesbury cartoonist Garry Trudeau, singers Sarah Vaughn and Judy Collins, politicians Eugene McCarthy and Patty Murray, magician Harry Blackstone Jr., architects Philip Johnson and Robert A.M. Stern, Columbo creator William Link, and authors ranging from Ross Macdonald and Robert B. Parker to Lyndsay Faye, Max Allan Collins, Elmore Leonard, and Philip Kerr. But I have never been so excited--or so nervous--as I was when I scored an interview with James Garner in 2011. With his first-ever memoir, The Garner Files, due for imminent release, I’d contacted his publisher, Simon & Schuster, to inquire about chatting with the renowned actor turned author. I knew it was the longest of long shots; Garner was a very private man, notorious for steering clear of media exposure. But I figured, what the hell, I’ll try anyway--what did I have to lose? And wonders upon wonders, he said yes. Or at least his co-author, Jon Winokur, did. Winokur told me to send him my list of questions via e-mail, and he’d persuade Garner to answer them. I was so enthusiastic, I spent a whole day writing and polishing my questions, and then cutting their number down to just over two dozen that I thought were the best. I shot them Winokur’s way … and then waited. I imagined all the things that could go wrong: Garner might decline at the last minute to respond; maybe he would look through my queries and decide they were too intrusive or not interesting enough; or he might have conflicting responsibilities that would prevent his sitting down with Winokur on my behalf. I’d never crossed my fingers so hard for luck, hoping everything would go my way. As I’ve written before, I was introduced to Garner by my father, who was a big fan of the 1957-1960 ABC-TV Western series Maverick. But I became an even more ardent admirer of this actor’s work. Not only did I watch all of Maverick, but I never missed an episode of Garner’s 1974-1980 private-eye series, The Rockford Files. Aside from several of his earliest film work and a few of his later pictures (including Tank and The Last Debate), I have seen all of his performances. I’m particularly fond of his starring roles in The Great Escape (1963), The Americanization of Emily (1964), Marlowe (1969, based on Raymond Chandler’s The Little Sister), Support Your Local Gunfighter! (1971), Skin Game (1971), Murphy's Romance (1985), director Blake Edwards’ Victor, Victoria (1982) and Sunset (1988), Streets of Laredo (1995), and Twilight (1988). I bought the full six-year run of The Rockford Files when it came out in DVD sets, and have since picked up his complete series Nichols (1971-1972) and Bret Maverick (1981-1982). To call me a Garner fan is like calling Bill Clinton a politician; the term simply doesn’t seem adequate to the circumstances. Mr. Garner was a genuine star but as an actor something of a paradox: a lantern-jawed, brawny athlete whose physical appeal was both enhanced and undercut by a disarming wit. He appeared in more than 50 films, many of them dramas, but as he established in one of his notable early performances, as a battle-shy naval officer in “The Americanization of Emily” (1964)--and had shown before that in “Maverick”--he was most at home as an iconoclast, a flawed or unlikely hero. Even [Jim] Rockford, a semi-tough ex-con (he had served five years on a bum rap for armed robbery) who lived in a beat-up trailer in a Malibu beach parking lot, drove a Pontiac Firebird and could handle himself in a fight (though he probably took more punches than he gave), was exasperated most of the time by one thing or another: his money problems, the penchant of his father (Noah Beery Jr.) for getting into trouble or getting in the way, the hustles of his con-artist pal Angel (Stuart Margolin), his dicey relationship with the local police. In his 2011 autobiography, “The Garner Files,” written with Jon Winokur, Mr. Garner confessed to having a live-and-let-live attitude with the caveat that when he was pushed, he shoved back. What distinguished his performance as Rockford was how well that more-put-upon-than-macho persona came across. Rockford’s reactions--startled, nonplussed and annoyed being his specialties--appeared native to him. Unlike virtually any other TV hero before them, Bret Maverick and James Rockford (who was, after all, also written by Roy Huggins as a revamp of Bret) eschewed guns and violence, preferring to talk their way into and out of trouble. In another actor’s hands, both would have been supporting roles, the weaselly if likable friend of the more macho lead. But Garner, with his great hair, handsome face and “relax, fellas” demeanor, managed to make even an aversion to physicality manly--his breakout movie role was a soldier who adhered to deeply held convictions of wartime cowardice in “The Americanization of Emily,” but still got the girl. Tall and broad, Garner was clearly capable of taking down any bad guy, he would just rather not. This is not to say he was one-note. In a career that spanned six decades, Garner played every sort of man: the scrounger in “The Great Escape,” the oblivious American gangster in “Victor, Victoria,” the quiet but passionate neighbor in “Murphy’s Romance,” the devoted husband in “The Notebook.” He appeared with Tommy Lee Jones and Clint Eastwood in “Space Cowboys,” stepped in as Grandpa Egan on “8 Simple Rules” after the death of series star John Ritter in 2003. But to all he brought an essential decency, a quick intellect and an admirable intolerance for delusion, denial and other forms of bull. And he managed to do it without coming off as self-satisfied, which is simply miraculous. Garner, who famously hesitated in taking the role in “Murphy’s Romance” because he thought he was too old to play a romantic lead and didn’t want to look like a fool, had an air of rueful self-awareness that he used to ground most of his characters in a very no-nonsense reality. It wasn’t humility so much as a sense of proportion, something so unusual in a lead character or a lead actor that it became a hallmark of a Garner performance--he didn’t think too much or too little of himself because he’d rather not be thinking of himself at all. More than anything, he was a star who didn’t appear to need every ounce of oxygen in the vicinity to shine. And as with Halley’s Comet and other rare celestial objects, it will be a few years before we see anything like him again. It’s not hard to understand, then, why I was overjoyed to interview Garner in 2011, even if it was only through e-mail. Here was a man--a modest man, by all accounts--who’d been a part of my life for almost as long as I could remember living, and I had finally been given the chance not only to thank him for the joys he’d brought me as an actor, but to ask him his opinions of the roles he’d taken and the people he had known and the memoir he had, at last, taken time to produce. When, after a few days of my waiting in front of the computer, Winokur sent me Garner’s responses to my numerous questions, I could hardly stop from smiling. I posted the first part of our exchange on the Kirkus Web site and the remainder of it in The Rap Sheet. My only regret was that my father was no longer around to read either installment. He would’ve enjoyed our exchange. Something good, indeed. Something not to be forgotten. Something that touched every one of us who was--who is--a Garner fan. For a man who devoted himself to an on-screen career, there can be no better way to honor Garner’s work than with a few video clips. Let’s begin with a very familiar one--the closing credits from Maverick, including that show’s theme song. In this witty scene from My Fellow Americans (1996), Garner portrays an erstwhile Democratic president, while Jack Lemmon plays his longtime rival, a former Republican president. 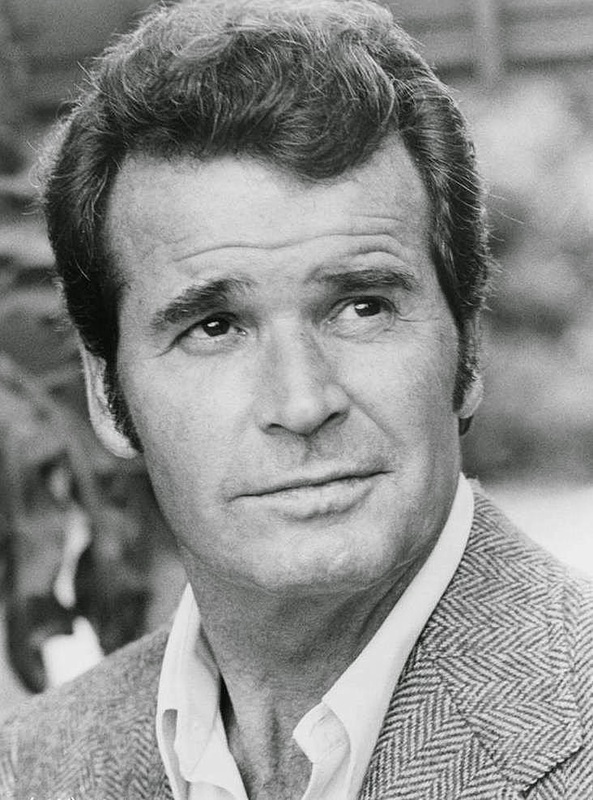 READ MORE: “James Garner Has Died; These Five Roles Will Remind You of His Greatness,” by Todd VanDerWerff (Vox); “James Garner (1928-2014): A Different Kind of Macho Movie Star,” by Noel Murray (The Dissolve); “James Garner, Rockford Files Star, Dies Aged 86” (BBC News); “R.I.P., James Garner,” by John DuMond (Nobody Move! 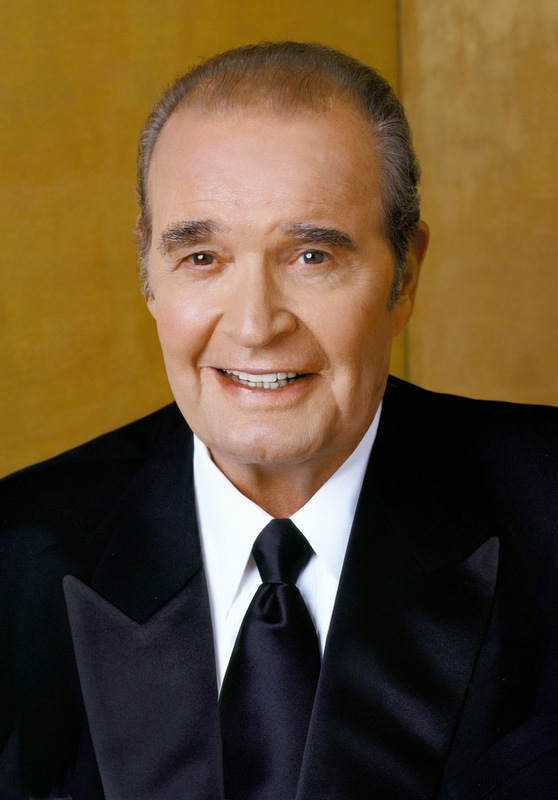 ); “James Garner” (Classic Forever); “Remembering James Garner’s Iconic Jim Rockford” (Guns, Gams & Gumshoes). William has it correct. What a nice send off. It is clear that you have great respect for the man, and no better tribute can be had than that given from a true fan. Thanks for exposing me to Garner material I wasn't even aware of. Watched Rockford Files as a kid. My Dad was a great Maverick fan too, but to this day I've never seen the series!